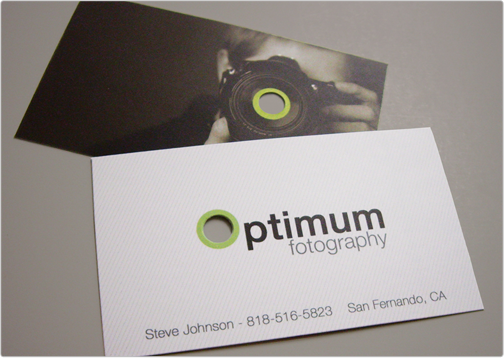 Spot UV (gloss) business cards are a great way to impress future customers and build a unique overall company image. 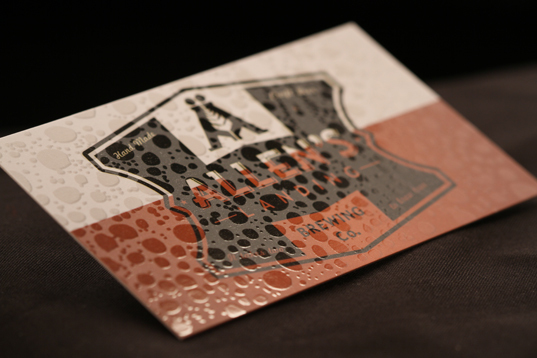 Spot gloss adds a very distinguished flare that takes ordinary business cards to the next level of professionalism. 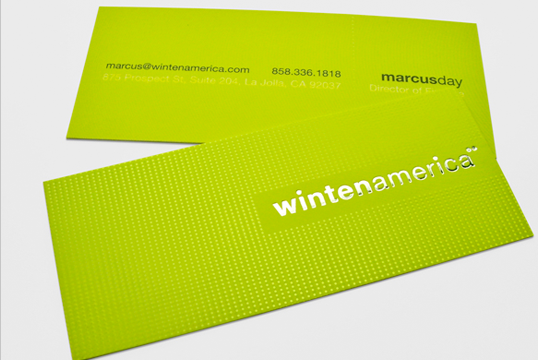 It is best used to highlight important areas of the business card design. 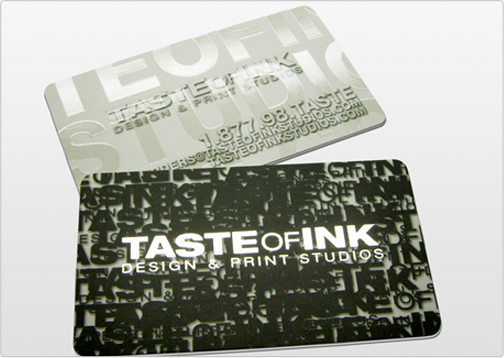 In general, spot uv business cards add a unique element are one of the greatest custom upgrades that can accompany full color silk business card printing. When your company's competitors have silk cards and you do not, they will immediately gain an advantage over you. The customer will compare their silk cards to your dull non-silk business cards, and it won't be a difficult decision for them. It will be an obvious difference and the prospect will probably opt for the business using the most unique silk card. Don't let your company be the one with dull, boring business cards, but rather the one with great looking unique silk cards. Many of today's business owners do not purchase unique business cards. Instead they decide to have plain cards since they think silk is too expensive. These business owners are mistaken! Unique silk cards are a great investment for your company, and they can be quite affordable if you choose the right design studio. They will help you accumulate more customers and sales, thus offsetting the low cost of your silk cards. Your business could be missing out on thousands of potential customers by having a lackluster business card, so can you afford to not have well designed unique printed material? Unique silk cards are a perfect investment for your company! 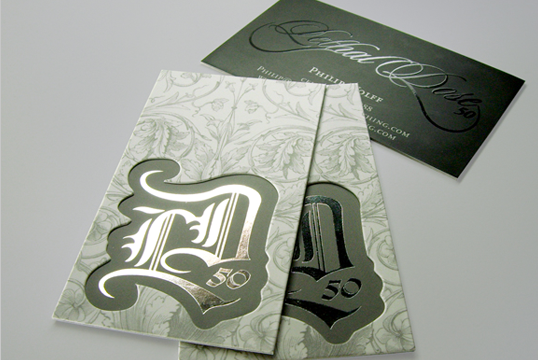 A great way to add beautiful and intricate detailing on a silk card is to add spot gloss. 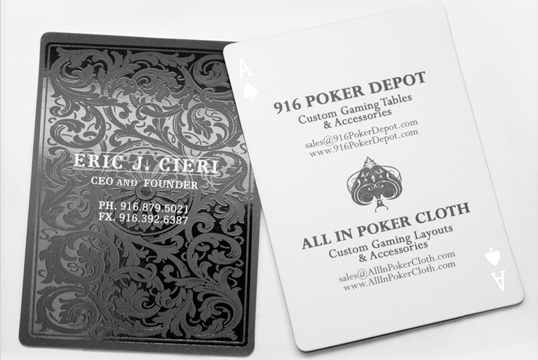 Spot gloss stands up slightly off your card, and can highlight specific details, scrollwork or elements of your logo to create a visually stunning card. One of the most effective upgrades we offer, it can make the uniqueness of a card even more appealing and professional. Adding spot gloss is a perfect way to impress your clients and showcase your individuality. What Makes Silk Cards Unique? 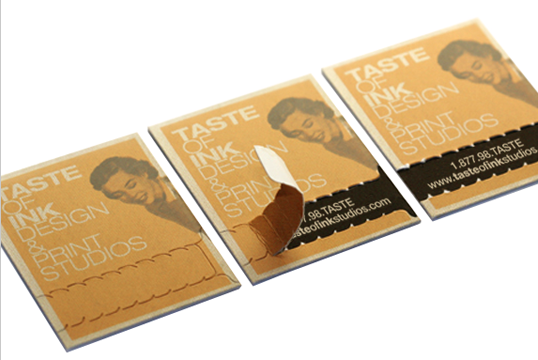 Having a silk coating applied to your business cards will dramatically enhance the custom appearance. Likewise, silk also greatly enhances the way a card feels. Normal business cards end up being thin and feel very rough to the touch. On the contrary, unique silk cards have a very smooth feel, since they are printed on better quality stock. There is also certain shine and luster when a silk card is held in the light. Do you want your company's business cards to stand out among the others or will you be among the thousands of business owners kicking themselves for choosing the cheaper boring business cards over elegant silk cards? Make sure you aren't the business without unique cards, you will regret missing out on thousands of sales to other businesses. Our silk lamination greatly enhances the way a card feels, adding a subtle shine and luster that other business cards don’t offer. In addition to this luxurious 16pt. stock, we offer very unique upgrades to our cards including brilliant decorative foil that makes your card truly stand apart. Bright and eye-catching, our foil comes in a myriad of colors as well as gold and silver, and gives your card a completely unique look and texture, from edgy to elegant. 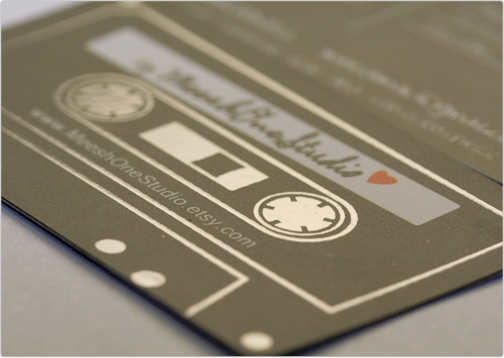 Our team of expert designers can help you create an original card and use foil accents to make it something that will catch your clients eye!